Jane is a talented, creative, and experienced fourth grade teacher from Chicago. Among her many talents we are amazed by her font like perfect teacher handwriting! It would make any teacher jealous. It’s been a privilege to work with her at our school here in Seoul as she has become one of my closest friends. Ever since I started teaching I have always been attracted to the many teacher resource books you could find at teacher stores and bookstores. I always wondered how it was possible that teachers could have so many great ideas to make learning so much fun. I now realize that teachers probably have the most resources in books and now unlimitedly on the Internet (and each other of course). Over the past few years I have been teaching in Korea I have not passed up the opportunity to pick up a few new teacher resource books while being at home during break. It’s usually hard to determine in the few minutes you have whether the book will be really helpful to you until you actually start using the activities. Here is one book and one Internet resource that I can genuinely say have been useful to me. This is a book that has something for every subject in short and long term project form for book reports, social studies reports, major math concepts, a random variety of science experiments, writing prompts, and even art projects. What I particularly appreciate is that the templates can be copied directly from the book. 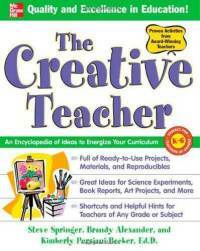 Although not everything that you will be teaching is included in this book, there are still a lot of creative and useful ideas. Personally, I like to use the “Submarine Sandwich Book Report” and assign it for students to do over a longer break. I also think these ideas can be used for a variety of grade levels and are a nice way to change up formats of reports and projects. The Internet is also the home to an unending supply of resources, but I will share with you the one math website that I am always going to: Math Drills–http://www.math-drills.com The math textbook we have been using is limited when it comes to reviewing or more practice with students which is why I find myself returning to this site. It is very easy to print out these pre-made worksheets that are organized by the major math concept. There are sites out there that can help you customize your worksheet, but I find I haven’t had any trouble finding the concepts I want my students to continue practicing with or review on. The answers are also all available so no need for doing calculations! It’s easy to set up and then have your students go on this during the day or at home. Watch their fact fluency increase before your eyes.